Refuting arguments that no action had been taken against names involved in the 2G, CWG and other assorted alleged scams that occupied news cycles in the run up to the 2014 general elections, Prime Minister Narendra Modi on Tuesday said that his government has cracked the whip and acted against all. In an exclusive interview to ANI, Prime Minister Modi said that his government has made all efforts to take action against the top leaders of the Congress party who allegedly have been involved in any wrong doing. 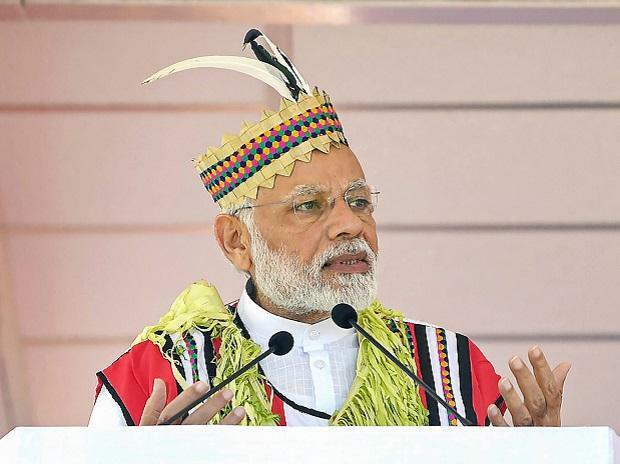 Taking aim on the 'First Family' of the Congress, Prime Minister Modi said that those who ran the country for four generations, are today facing charges of financial irregularities and are out on bail. Tongue firmly in cheek, he responded to the remark that those accused in the scams were taking walks in Lodhi Garden, saying that those on bail had freedom given by courts to walk in the park. Responding to a question that despite making claims of taking action against those who are involved in 2G scam, Commonwealth Games scam and the alleged land deals of Robert Vadra in Haryana, not much action is visible and they are moving freely, Prime Minister said: "Zamanat pe bhi toh hain (They are out on bail). Those who are on bail, can do it.... but it is a fact that those considered 'First Family', who ran the country for four generations, are out on bail, that too for financial irregularities. It is a big thing. A set of people, who are at their service, are trying to suppress such information and push other narratives." He added that action has been initiated against former Finance Minister P. Chidambaram and even though he does not believe in political vendetta, action against those involved has begun. "The country's former Finance Minister is making rounds of courts. It is not a small thing. I am not in favour of such a thing that anybody should face problems just because you are our political rival. We are not in favour of that (political vendetta.) Whatever judgement court gives, we will accept but there should not be delay," Prime Minister said. Congress leaders Sonia Gandhi and Rahul Gandhi were in December 2015 granted bail by a Delhi court in the National Herald case while Chidambaram has a protection order from arrest till January 11 in the alleged Aircel-Maxis scam. Chidamabaram is facing allegations of alleged irregularities in the grant of Foreign Investment Promotion Board approval in Aircel-Maxis deal. In a major setback to the Gandhis, the Delhi High Court recently rejected the plea by Associated Journals Limited, publisher of National Herald newspaper, challenging the Union Government's order to vacate the building.